On February 27th 2017 the second biggest prison in Europe will open in Wrexham, North Wales. 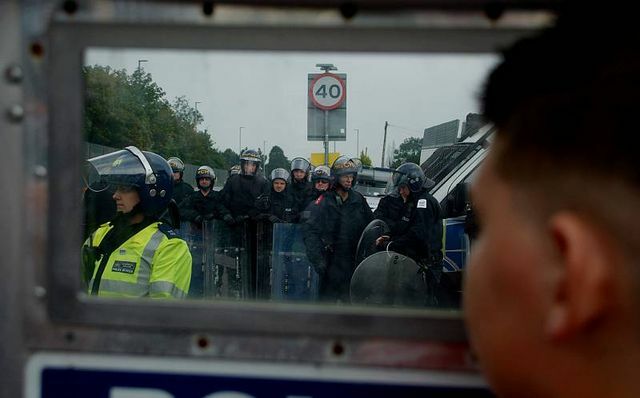 Local people lobbied for five years against this prison and campaigners blockaded the construction site and disrupted recruitment for the prison multiple times. It is with a heavy heart that we see the opening of a cage of this industrial scale. We will be there the day it opens showing our opposition to all mega prisons being built and the continuing growth of the prison-industrial complex. After our action in May 2015 where machinery was sabotaged, we knew that to regularly attempt to attack the prison would be impossible due to the prison walls being built around the site. After intensive research, it soon became apparent that we could have a dramatic effect with little effort. In July 2015, a strong acidic powder was poured into the excavations of the groundfloor slabs of two of the prisons’s houseblocks. This has made two of these buildings structurally unsound – their foundations will eventually crumble and the buildings could collapse over time. Given that the strength of these slabs has been greatly reduced, intrusive investigations and a full re-build of these houseblocks would be necessary before attempting to cage people in these buildings. This action is dedicated to every human being that has died in the prison system at the hands of the State. titan prison by the government in May 2014. 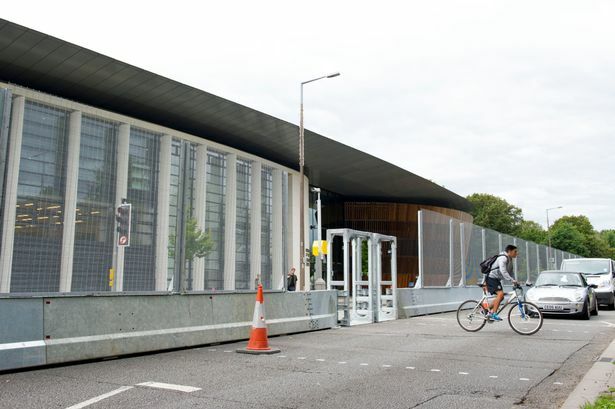 There are demos taking place against the NATO summit in Wales, here is the Indymedia UK link where many photos are being uploaded by activists. 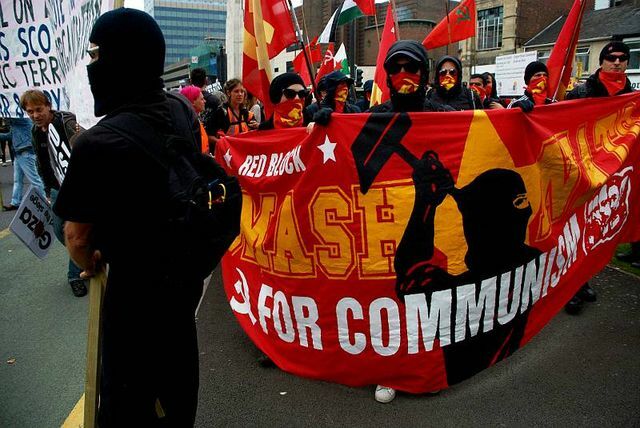 There were not many people attending the demos but anarchists attended, as did communists in a Red Block. 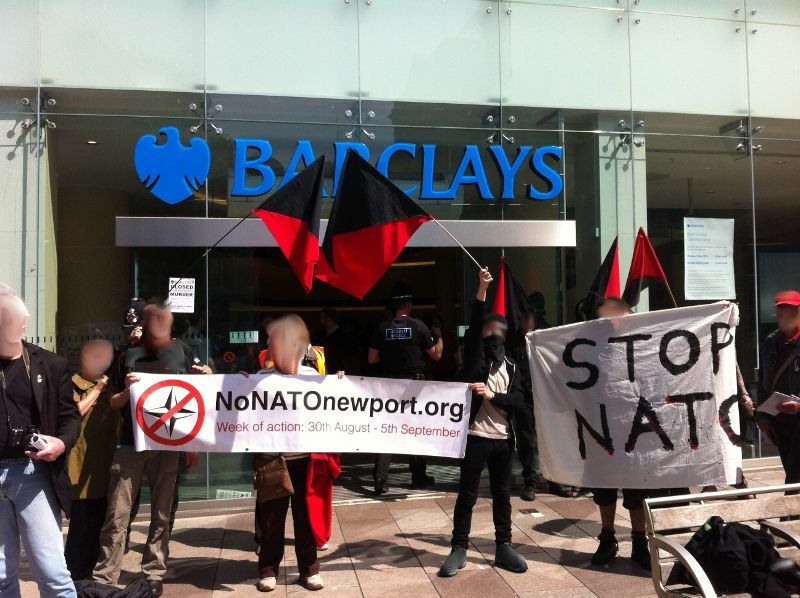 On Wednesday, July 9th, the otherwise successful Day of Action against Nato in Merthyr Tydfil was marred by an intrusive police presence, the attempted intimidation of Stop Nato Cymru activists and the harassment of a public meeting that afternoon.